Dr. Michael Stella is a native of Elizabeth City, North Carolina. He graduated from UNC-Chapel Hill with Highest Honors in Biology and went on to attend UNC’s School of Dentistry, where he earned his Doctorate in Dental Surgery with Honors. He then elected to pursue his dream of specializing in periodontics, joining the UNC Department of Periodontology and earning a Master’s degree in Oral Biology and Certificate of Advanced Study in Periodontics in 2013. Dr. Stella married his wife Julie in April 2018, and the couple are blessed to be expecting their first child in 2019. In the meantime, Dr. Stella stays in shape through varied workouts, running, and cycling. He and Julie love watching the terrific assortment of college and professional sports in the Triangle, including the Carolina Hurricanes. In his spare time, Dr. Stella enjoys giving back in dentistry, teaching UNC students and residents as adjunct faculty, as well as volunteering at Wake Smiles Dental Clinic and the UNC Student Health Action Coalition. He has served on the board of the Raleigh-Wake County Dental Society for the last four years and is currently President of the Society, as well as being on several committees at the Dental School. He currently serves as a sedation examiner for North Carolina State Dental Board. 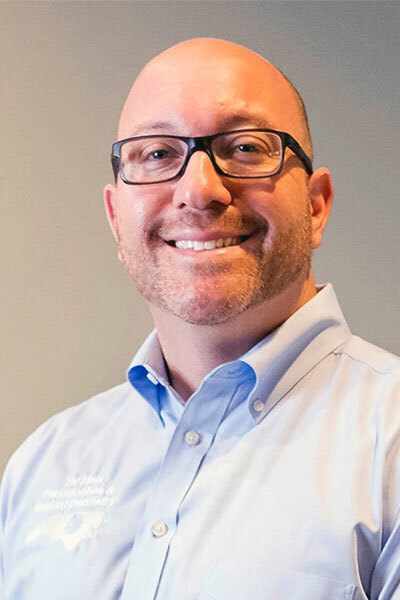 Dr. Michael Kretchmer earned his Bachelor’s Degree with Honors in Biology at Binghamton University and his Doctorate in Dental Surgery from the prestigious University at Buffalo School of Dental Medicine. 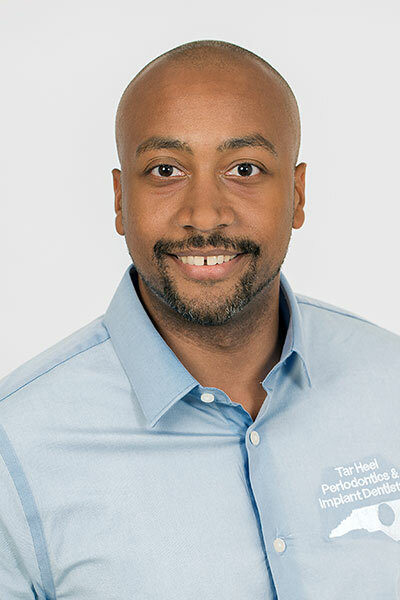 He then completed the specialty program in Periodontics at the University of North Carolina in Chapel Hill, earning a Master’s degree in Oral Biology and Certificate of Advanced Study in Periodontics. Dr. Kretchmer is a proud father of three wonderful children. In his spare time, he can be found cheering on the UNC Tar Heels, Carolina Panthers, and Carolina Hurricanes. He also enjoys CrossFit, cooking, and spending time with his family. Dr. Kretchmer is currently an adjunct professor in the Department of Periodontology and works closely with the residents in the training program. He enjoys giving back to the dental community through continuing education and guest speaking at dental societies across The Triangle. Dr. Justin Valentine is a native of Danville, VA. He graduated from Virginia Commonwealth University with honors in Clinical Laboratory Sciences and completed his dental training at the University of North Carolina at Chapel Hill. 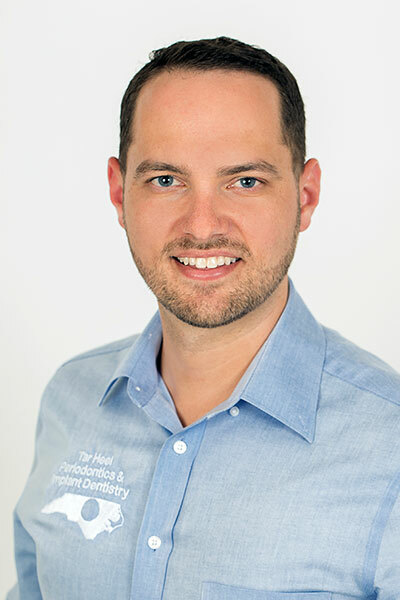 He completed his initial residency in hospital dentistry at St. Francis Hospital in Hartford, CT. Next, he practiced general dentistry for two years in Eastern North Carolina. He returned to the University of North Carolina at Chapel Hill to receive advanced training in Periodontology and his Master of Science in Periodontology. Dr. Valentine enjoys martial arts and is a black belt in Tae-kwon-do. He also enjoys traveling.